When Kelly lost the man she was going to marry, she immersed herself in her business and her friendship with Chris instead of trying to move on and start dating again. Now, that she has decided to open herself to the possibility of finding love, she suddenly can’t stop thinking about the one man who has always been there for her. Chris has always loved Kelly, but when his best friend wanted to date her, he put his feelings aside and vowed to never act on them. The love and friendship he has given Kelly since then has never been anything but his honest affections, and he still harbors a serious attraction to her, even if he knows they could never be anything more than friends. I liked Kelly and Chris’ characters, but they seriously drove me crazy with their indecisiveness and inability to share their feelings with each other. I think if they would have been a little more mature about their change in relationship, I would have enjoyed this book so much more. 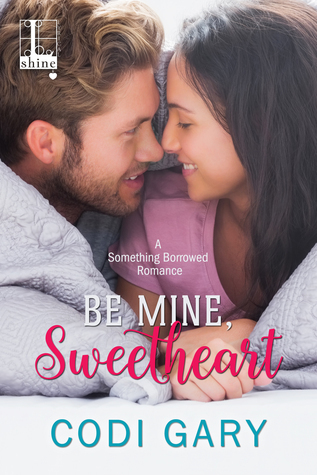 This was a good read, but definitely not my favorite from the Something Borrowed series. While I love the writing of Cody Gary, this book did little to ultimately hold my attention.